Steady, my AT thru-hiker daughter, joined me over the past couple of weeks to hike what many call the most beautiful trail in the world, Ireland’s Dingle Way. I’d be hard pressed to disagree that any place is more beautiful, and to make matters even more wonderful, we were there for just over two weeks and never wore rain gear while hiking. 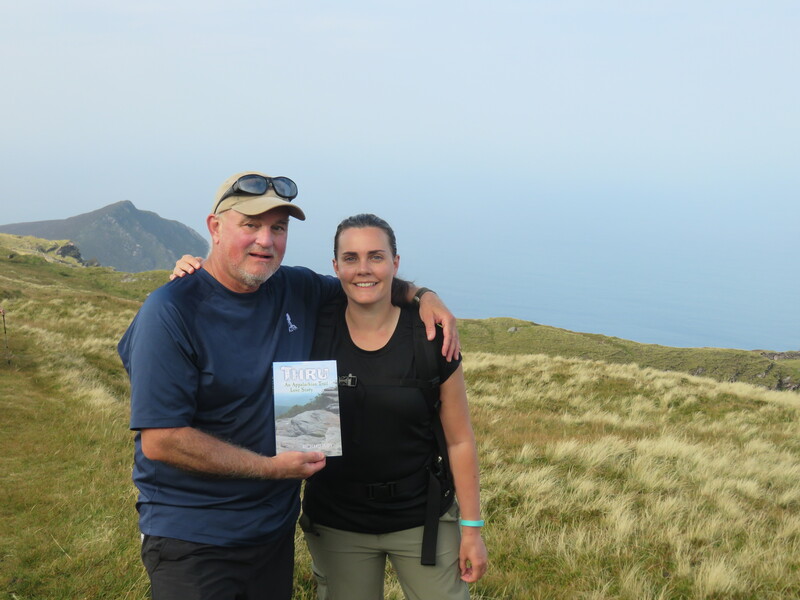 We climbed rugged peaks, traversed gorgeous pastoral tableaus, strode along the edges of sheer sea cliffs and often walked for miles on lonely strands of beaches. We saw sheep, surfers, cows, horses, castles, ancient abbeys, museums, peat bogs, craggy tors, idyllic villages and people whose speech is as much lyrical as communicative. Unlike trips in recent years to the Himalayas and the Balkans which left me exhausted, this trek energized me. I’m eager to hit the Benton MacKaye Trail in a few weeks. Hiking with Steady was a treasured experience. She seemed ready to chuck her return flight ticket and stay in Ireland forever. Stay vertical, my friends, and keep walkin’!